Coworking Europe and GCUC joined message (June 10th, 2018) – In the true “co” spirit of coworking, GCUC UK and Coworking Europe are delighted to announce a collaboration which will benefit all coworking aficionados. 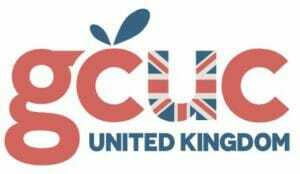 Not only will GCUC UK and Coworking Europe collaborate on content, the two organizations are offering a super saver joint ticket for those people who want to attend both events. A promo joint ticket to both Coworking Europe and GCUC UK is available through July 15 for £570 or €650 Euros. Coworking Europe was launched in 2010 and aims to bring together people from countries all over Europe and beyond to share their experiences. It is an international event by nature, with more than 50 nationalities represented every year. The conference is a platform where representatives from coworking national markets have the opportunity to meet their peers and build a vision for the future of the coworking industry across Europe.